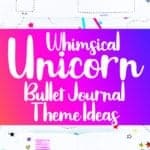 Looking for a fun bullet journal theme filled with color, magic, and whimsy? Then you absolutely must try a month with a unicorn bullet journal theme! I won’t lie, I was absolutely excited to see this theme roll around in my bullet journal theme collection. 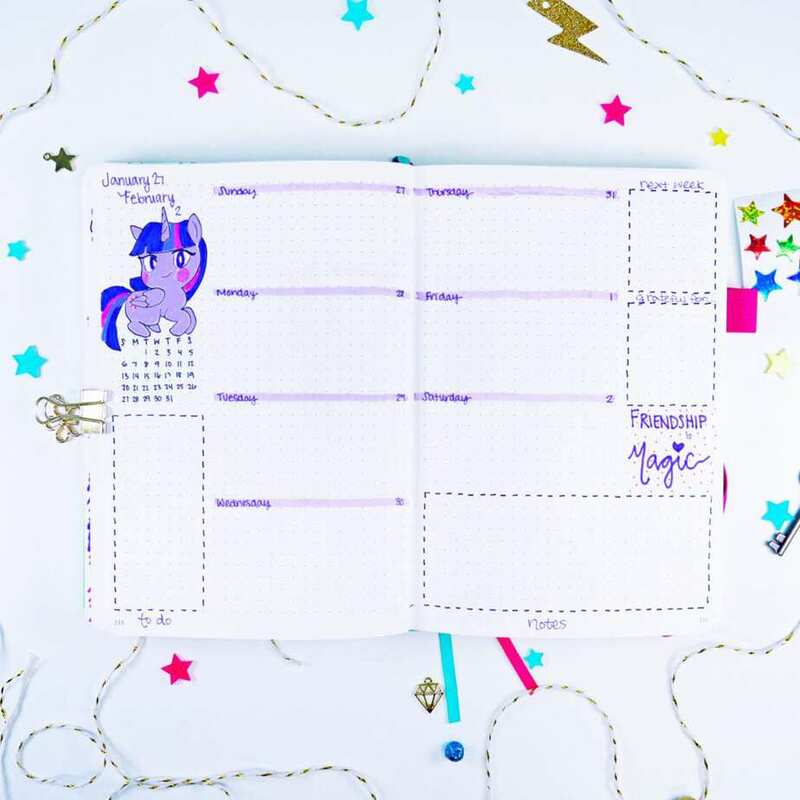 I’m in love with unicorns, I’m a huge My Little Pony fan, and I was excited to see how many fun things I could try with this page. 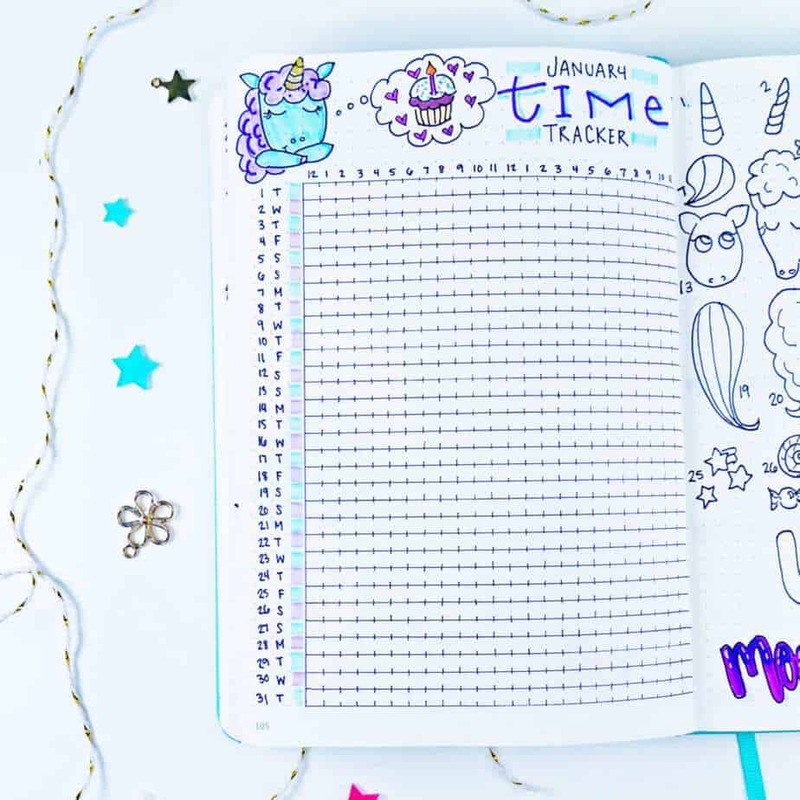 Now I’ve noticed some other unicorn bullet journal theme layouts feature other typical ‘doodles’ associated with unicorns, but for fun, I wanted to try to make each spread and layout unicorn centric. Want to see it in a video? 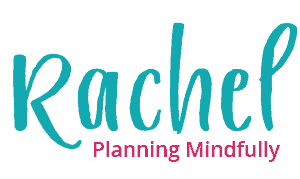 At the end of this post, you can watch the video “Plan with Me” for this very theme! 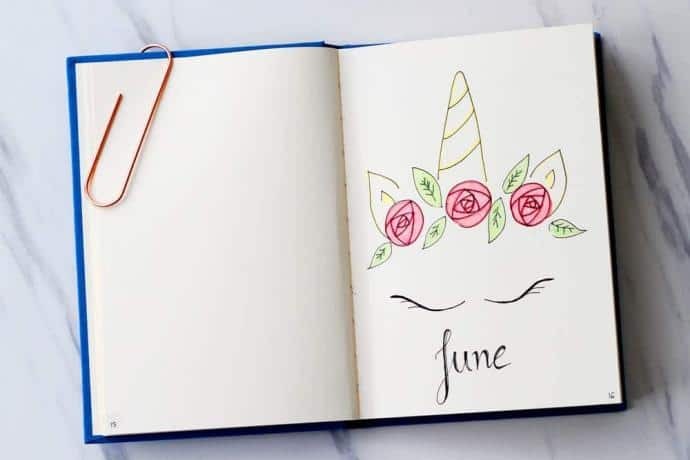 This unicorn theme monthly cover page was easy and straightforward, but cute and fun. I literally cannot ask for something better when it comes to my layouts. While I like art, I’ve never been a fan (more like never been good) of super complex art. I love seeing it, I love what other people create, but I just prefer simpler doodles. Since the cover page is generally just my quick way to separate months, simple and fun is best! I wasn’t a fan of this monthly calendar layout. I had a really amazing plan, but the execution didn’t quite go the way I expected (it happens!). That said, I’ll have to say I’m super impressed with how the Scribbles that Matter notebook handled the full page color from the Tombow Twintone markers. 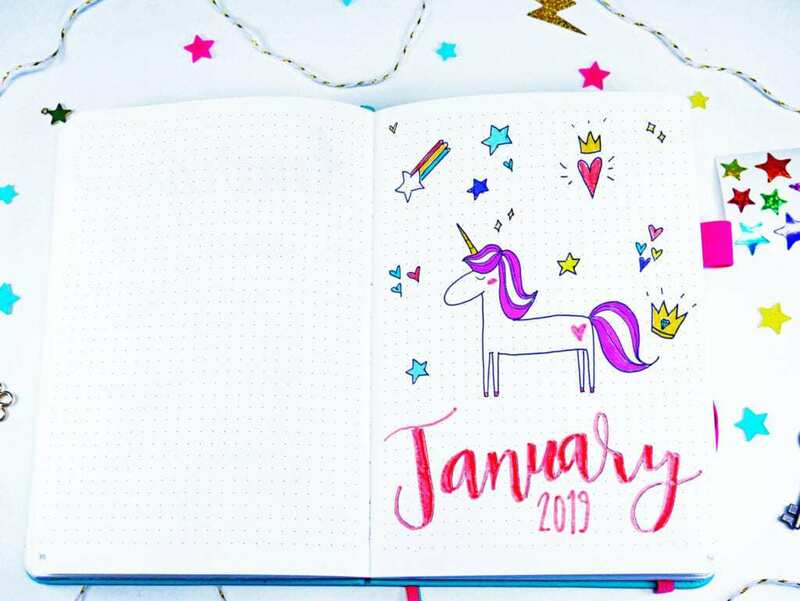 And the white gel pen really saved the day with writing the month and the unicorn doodle. I suppose I could have used stickers, but I didn’t have any stickers on hand that I think would have worked well to remedy this page. There’s a really interesting story about this particular layout that I share in my plan with me video at the end, so make to watch it at the very end! 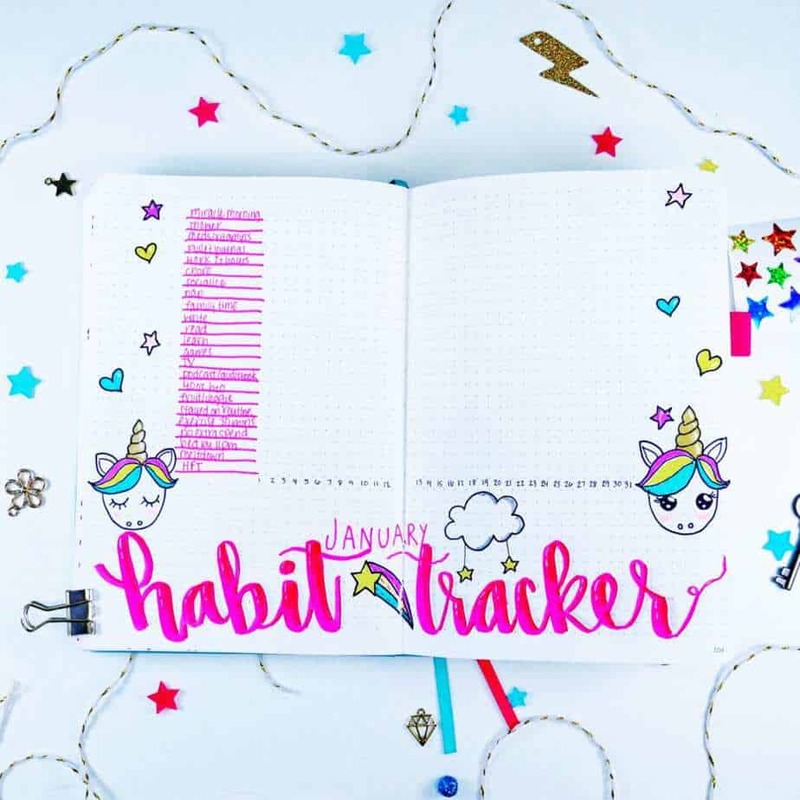 This super cute habit tracker completely made up for the mess of my monthly calendar. What’s cool this time is I remembered to actually write out all of my habits ahead of time, so I can actually show you what I use my habit tracker for! If you’re looking for a quick, fun doodle- these unicorn heads are perfect, and the gold gel pens really provide some extra shine! Time trackers usually take a little more effort to set up (drawing all those lines and notches is a pain, but it really makes for simple tracking once you’ve started the month), but having one is pivotal in most of my monthly setups. I added a cute curly-haired unicorn on the upper-left of the page to keep it related to the theme! This spread really does take up most of the page. This mood tracker was seriously one of the best I’ve EVER created! I think what was so neat about it is I was able to not only keep it unique, but I was able to incorporate different parts of the unicorn. All in all, I have created ‘mix and match’ options for six different looks. I cannot wait to see how this turns out at the end of the month. For my weekly layouts, I try to keep the general spread consistent from week to week for ease of drawing and placement. I went with a weekly spread that I felt utlized the entire page nicely, and was easy to draw. The weekly calendar component is in the center, with other important weekly spread information surrounding the edges of the pages. For week 1 of January, I drew these super adorable chibi-style unicorns. Turquoise and fuschia are some of my favorite colors so I had fun drawing the hair. I think my favorite thing about chibi anything is it always looks cute, even if it really looks a bit bizarre. Like, what’s with the legs on the right unicorn? Oh well, at least it’s cute! This was by far my favorite weekly spread! 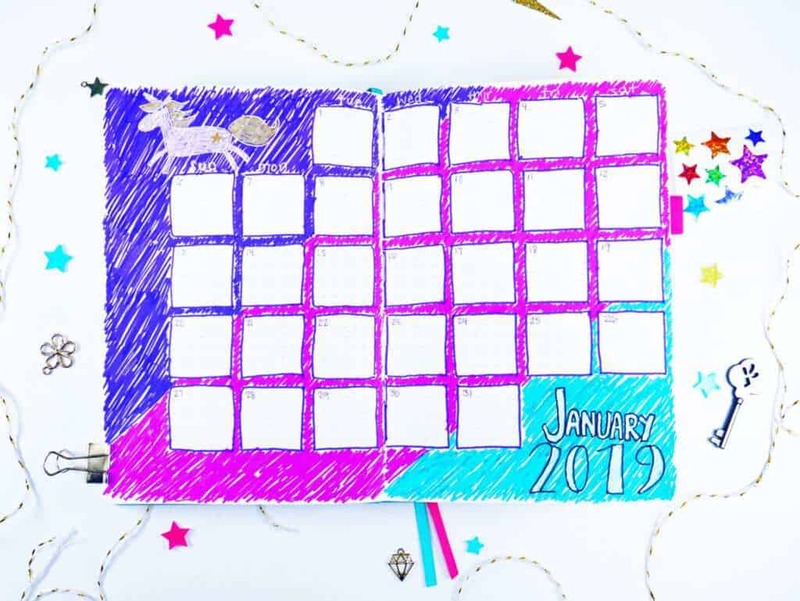 The unicorn doodle was too adorable and I cannot ever pass up rainbow colors to organize the weekly calendar. Don’t you love how it turned out? This cute doodle was a different rendition of one I found on Pinterest. I actually think it was supposed to look more like Fluttershy from My Little Pony, but I decided to do my own colors instead. For some extra flair, I added a matching rainbow on the right side of the page. I can’t help it, I’m a sucker for big unicorn eyes! This was one of the few spreads I used my Tombow Dual Brush pens for. I find that the colors blend really well together with minimal effort. I used bright shades of pink and blue, and combined made this super vibrant purple that I loved for the unicorn hair. Last, I added some same color stars on the right side of the page. 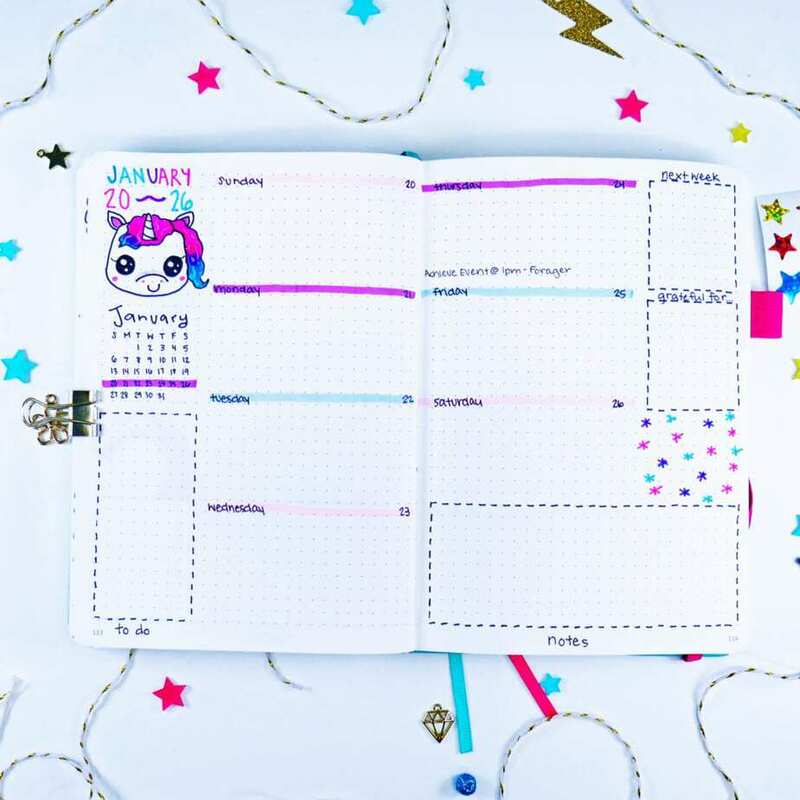 I couldn’t have a layout in a unicorn theme without including one pony from My Little Pony. While Twilight Sparkle is technically an ‘alicorn’ rather than a unicorn, who cares? She has a horn! I don’t know why, but I always feel weird doing layouts with five weeks. I think I get bored by week 4. It didn’t quite turn out as lovely as the others, but it’s ok! I went with a simple layout for my monthly review that I felt matched the look and feel of the weekly spreads! The hearts were cute (and relate to next months theme, any ideas?). The unicorn, on the other hoof, turned out a little silly looking. Epic mane and tail just didn’t quite get the body right. 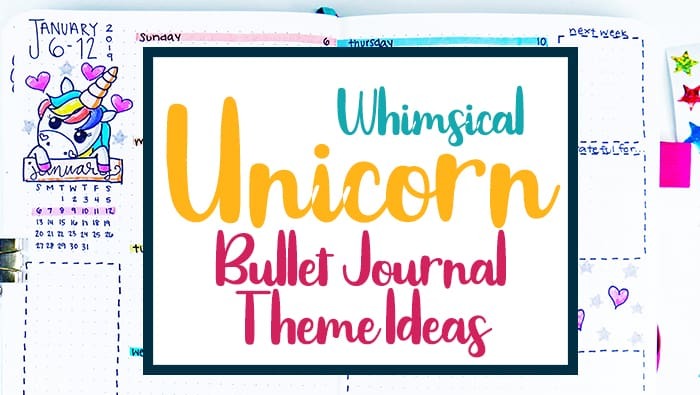 I was having some difficulty finding some unicorn spreads from my followers, but I do have a few bullet journal blog friends who have created some other beautiful unicorn bullet journal theme monthly layouts! 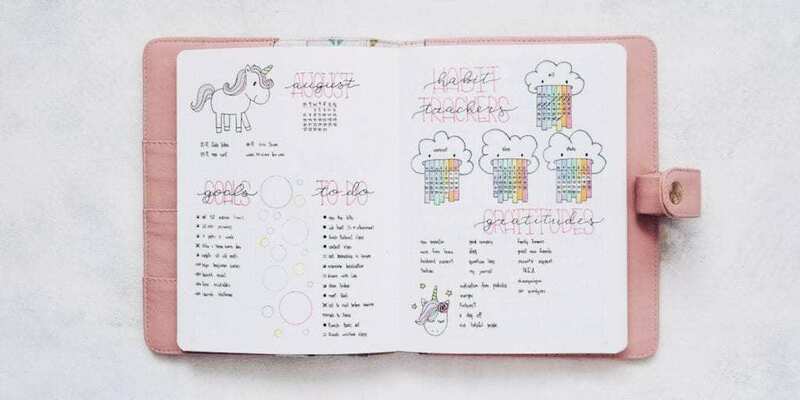 Make sure to check out more of her unicorn spreads from her unicorn theme blog post! 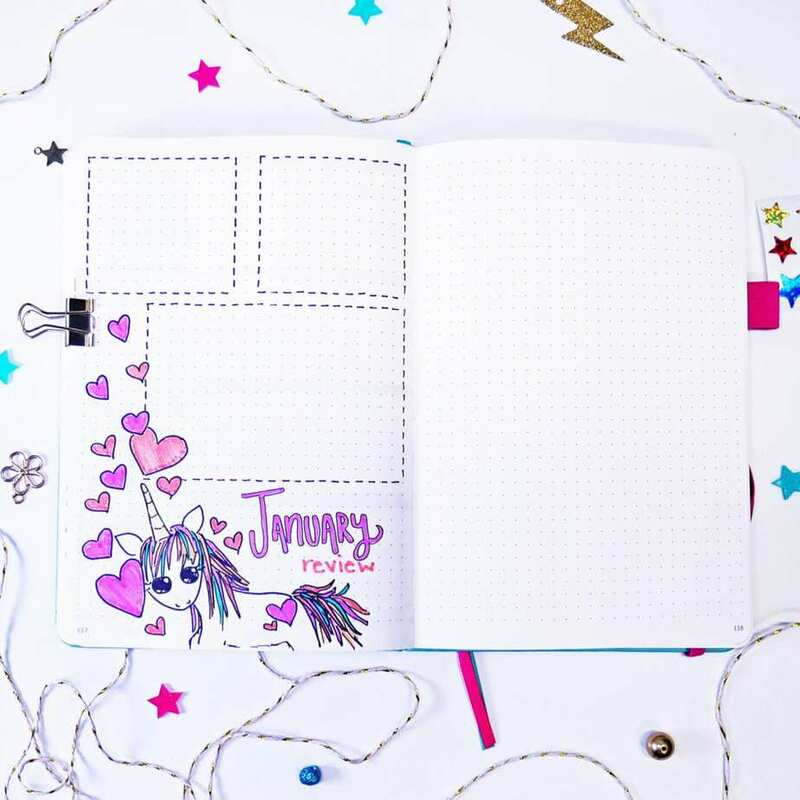 Make sure to check out Masha’s version of a monthly unicorn theme for more great ideas! 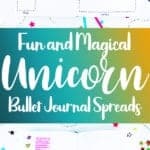 Since I couldn’t find a ton of unicorn spreads beyond what I posted above, here some awesome supplies that would be perfect for a unicorn theme! 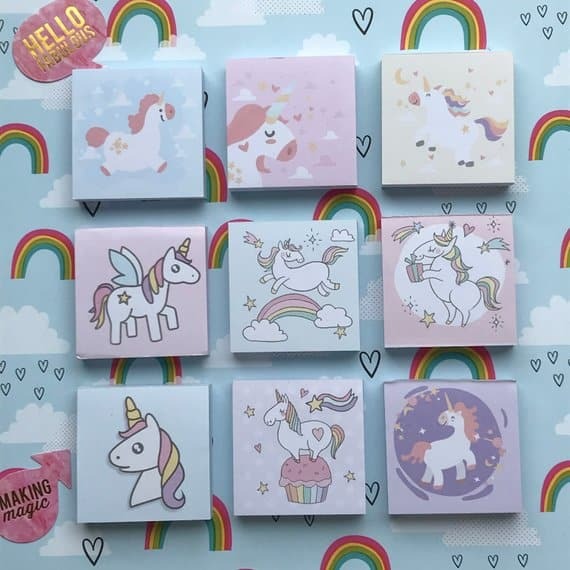 What’s better than these cute unicorn notepads? A lot of people include post-it notes in their bullet journals. I love this super cute rainbow unicorn washi tape! 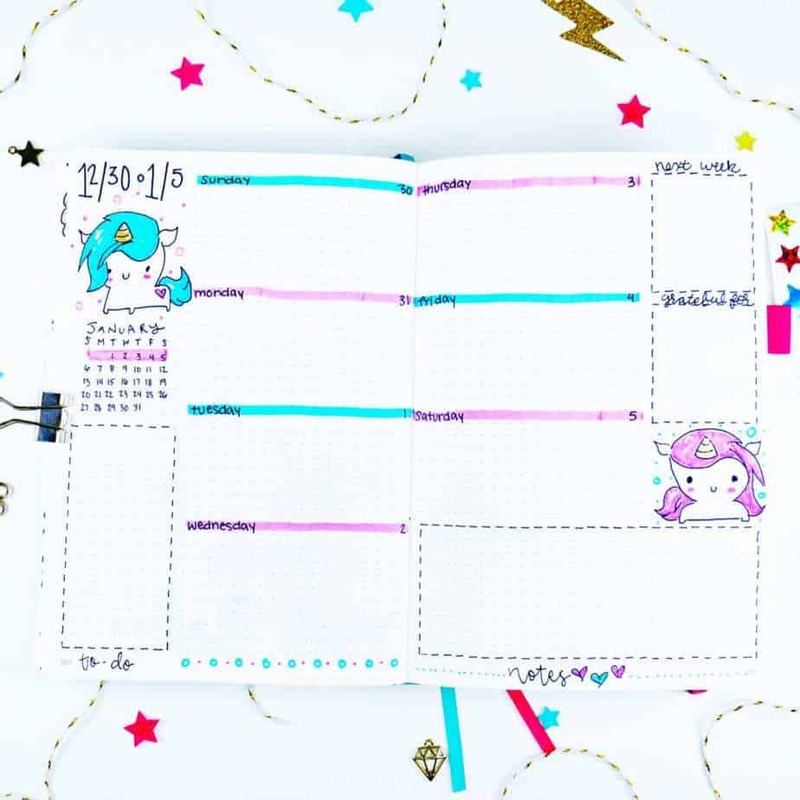 This unicorn and galaxy washi set would be lovely for any unicorn bullet journal theme setup! 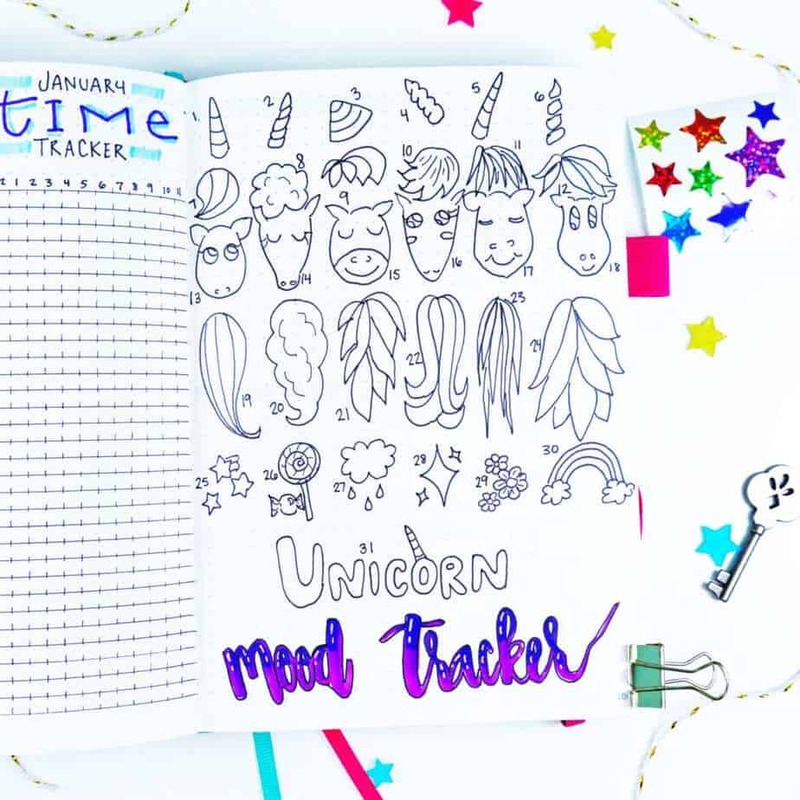 These uniquely drawn unicorn stickers would be perfect for those who don’t want to draw their own unicorns! 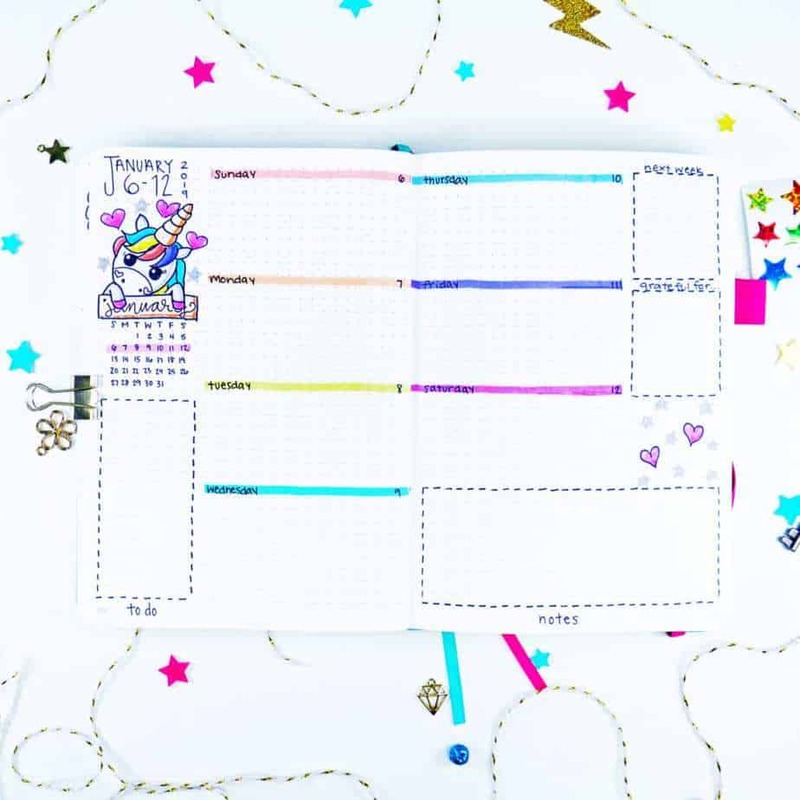 If you’re planning a party during the month you have a unicorn theme, then you need to pick up these unicorn party planning stickers! I’m on Youtube now and I made a video of this very setup! If you’d like to see how I create my doodles, spreads, and layouts, you’ll want to watch this video. A quick note about this video, too: I completely messed up my monthly calendar! Actually, it was a fascinating experience filming my spread as I was actively messing up the spread I was creating. That said, I’ve learned how to fix mistakes in my bullet journal pretty well! I’m really glad I got to do it on camera because you get to see in real time what I do when I actually mess up my spreads. Hope you enjoy it! Make sure to like, comment, and subscribe to my channel if you haven’t already! Personally, I loved this theme SO much. It was an absolute blast and I cannot wait to get to create it again. 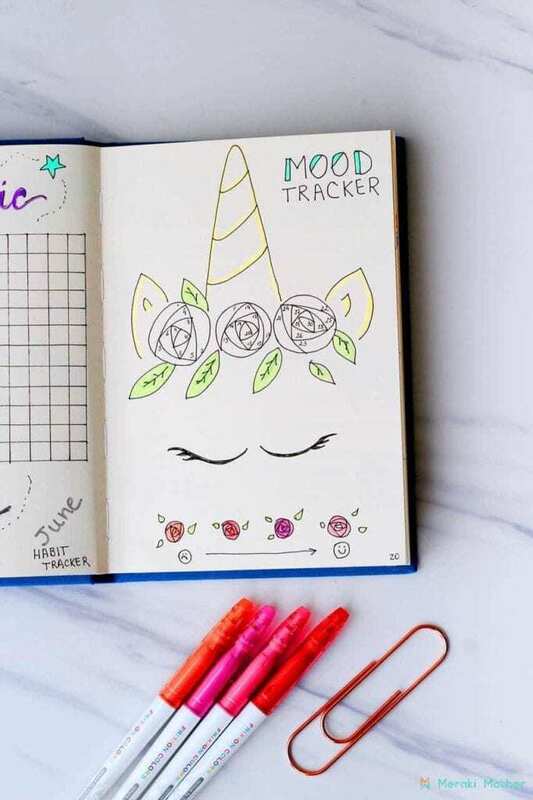 While there weren’t a ton of bullet journal ideas I found easily beyond what I posted, I felt like with the amount of variety in doodles and stationery, you could do a lot of fun different setups for the unicorn bullet journal theme. 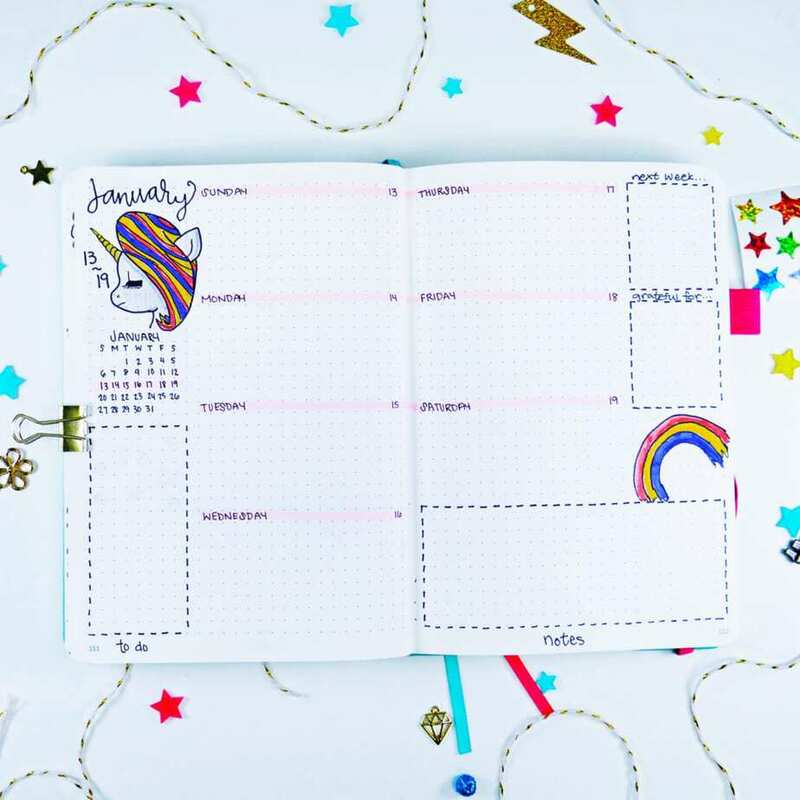 I rate it 10/10 because it’s easy to create, fun to draw, and you can definitely find lots of different ideas to fill the entire month. 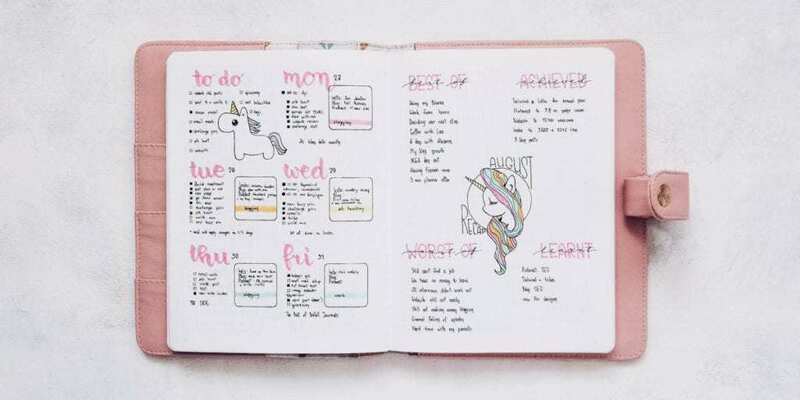 Have you created a unicorn theme in your bullet journal? 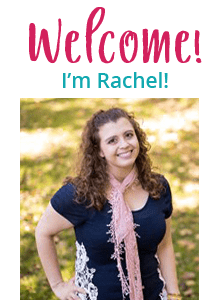 I’d love to hear about your experiences in the comments! Link to any relevant Instagram posts, social media, or blog posts so I can see what you’ve created.